Winter is here, and so is our line of Official Game of Thrones T-shirts! Game of Thrones is one of the most popular shows of our time. 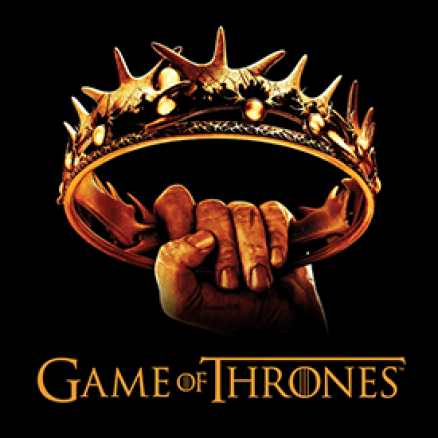 It features several families fighting for control over the mythical land of Westeros! This award winning series has smashed a whole bunch of records in the past couple of years. But what really makes this adventure fantasy so popular is its new level of detail, from magnificent castles to the contrasting landscapes and some epic cliff-hangers that leave the viewers wanting more! We are really excited to bring to you our collection of Official Game Of Thrones t-shirts and accessories in India that feature amazing artwork from the show and fan art by talented designers from all around the globe. These Game Of Thrones designs are inspired by your favourite characters, houses and scenes from the show and are available on t-shirts, badges, coasters and a lot more. We have curated a collection of the best t-shirts and accessories from all over the seven kingdoms and we swear by the old Gods and the new, that these are some of the best Game Of Thrones t-shirts available online in India!